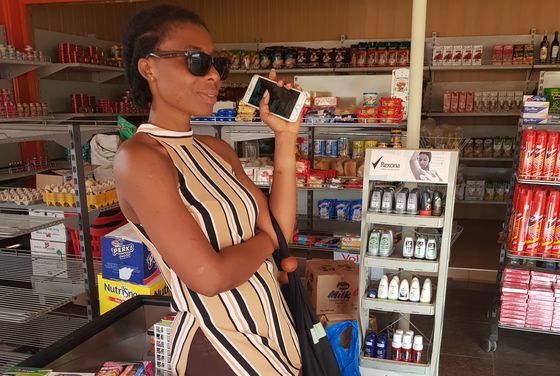 (Bloomberg) -- As water supplies in Ghana’s capital grew increasingly erratic, Beatrice Kabuki stopped customers from using her grocery store’s bathrooms and installed a plastic storage tank at her home. Cities and towns in several other African nations including Mozambique, Zimbabwe and Ivory Coast have been plagued by similar water shortages in recent months, manifestations of a global supply squeeze brought on by drought, population growth, urbanization and insufficient investment in dams and other infrastructure. 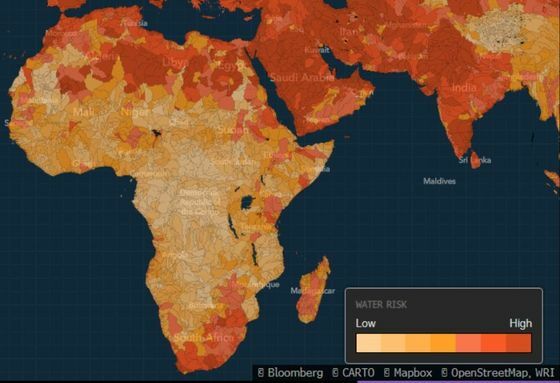 Water use has risen about 1 percent a year since the 1980s and more than 2 billion people now live in countries experiencing high water stress, the United Nations said in its World Water Development Report released in Geneva on Tuesday. It projects demand will grow as much as 30 percent by 2050. “Stress levels will continue to increase as demand for water grows and the effects of climate change intensify,” the UN said in the report. 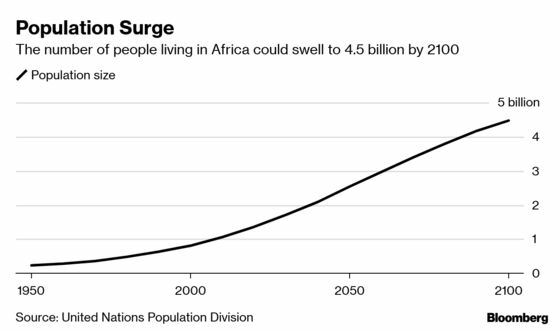 The scourge is set to become exponentially worse in Africa -- the UN expects the population of the world’s poorest continent to almost double to 2.5 billion by 2050, and that 59 percent will reside in urban areas by then, up from 43 percent now. A massive increase in agricultural production will be required to feed everyone, compounding the pressures caused by surging household demand for water. Even nations with plentiful water resources may be unable to build sufficient dams, pipelines, pumping stations and purification plants to ensure adequate supply. A study published by the African Development Bank last year found the continent needs to spend at least $130 billion to address an infrastructure backlog, including as much as $66 billion on providing universal access to water and sanitation, but faces a financing gap of $68 billion to $108 billion. Large up-front investments, short-term political considerations and government-borrowing constraints impede infrastructure construction, with the problem particularly acute in Africa, according to the Global Infrastructure Hub, which was set up by the Group of 20 developed nations to promote development. The benefits the projects deliver to society at large may also outstrip the returns operators earn on them, a likely deterrent to private investment, it said. Crumbling infrastructure has compounded the effect of a crippling drought in cash-strapped Zimbabwe, resulting in water rationing in its two largest cities, Harare and Bulawayo. In Maputo, Mozambique’s capital, supply has been cut off on alternating days since January after dam levels fell to less than a quarter of their capacity. Taps in Cape Town, South Africa’s tourist mecca, came close to running dry last year before good winter rains brought respite from the region’s worst drought on record. The nightmare of running out of water became a reality last year in Bouake, Ivory Coast’s second-largest city, when rains failed. The government was forced to use tankers to truck in emergency supplies, while thousands of people temporarily relocated. Water shortages in Accra, which mostly gets regular rainfall, are mainly attributed to its inadequate and poorly maintained pipes, pumping stations and purification plants. About 4.9 million people live in the city and its surrounds, including the port city of Tema. Joyce Ayitey, 42, who sells plastic cups, tissues and sweets from a wooden stall in front of the home she shares with her husband and three daughters in Diabolo in the eastern part of city, has experienced the extremity of the problem. When her taps ran dry more than two years ago, the water utility company blamed road builders who destroyed its main pipelines and said the outage would be addressed within weeks, but nothing was done. Ghana Water Co., the state-owned utility, is aware that some Accra neighborhoods have erratic water supply or are struggling with low pressure, but faces an uphill battle to tackle the problems because new neighborhoods are being developed faster than it can provide the infrastructure, spokesman Stanley Martey said by phone. Kabuki, the storekeeper, can no longer stomach being unable to flush her toilets when her stockpiled water runs out and has run out of patience with the authorities.